Place a pic of your Duke here. 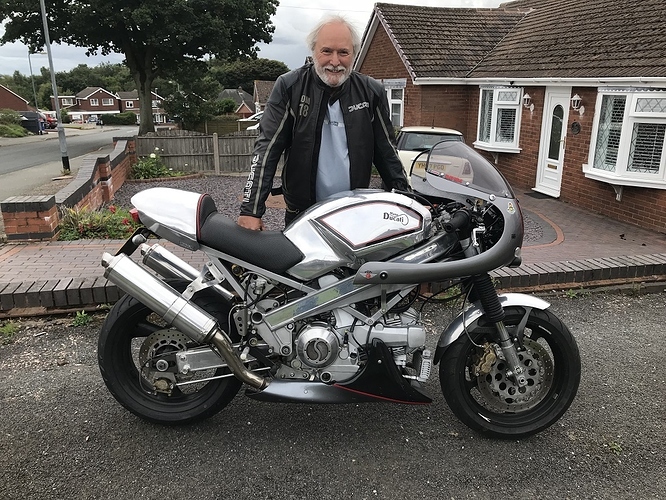 This is my Spondon 900SS, recently liberated from Paul Rawlinson in exchange for a large quantity of beer vouchers. All the credit goes to him for the work done, but it’s mine now!!! That is a nice looking machine, always wanted a do on it ! !